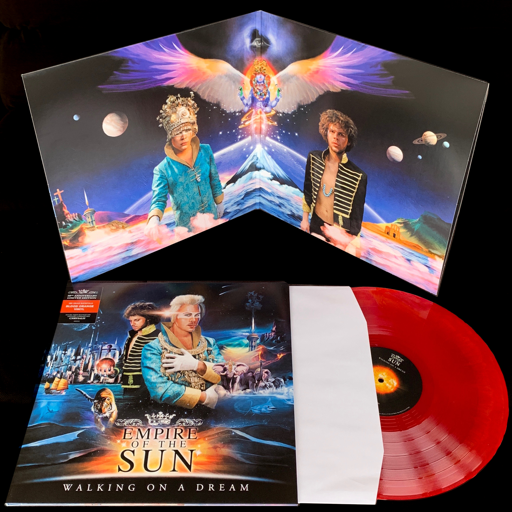 Multi-platinum selling Australian alt-electro pioneers Empire Of The Sun (Luke Steele & Nick Littlemore) celebrate the 10th anniversary of their ARIA-award winning debut album ‘Walking On A Dream’ with the release of a limited edition vinyl on Capitol Records/EMI Music Australia. It is the first vinyl release of the album in more than three years and includes the gifted unreleased track ‘Chrysalis’. A gatefold 180 gram heavyweight vinyl of Walking On A Dream on transparent blood orange vinyl. The original artwork from the initial 2009 vinyl release. A unique code to download the new track ‘Chrysalis’ (also available on streaming services today). 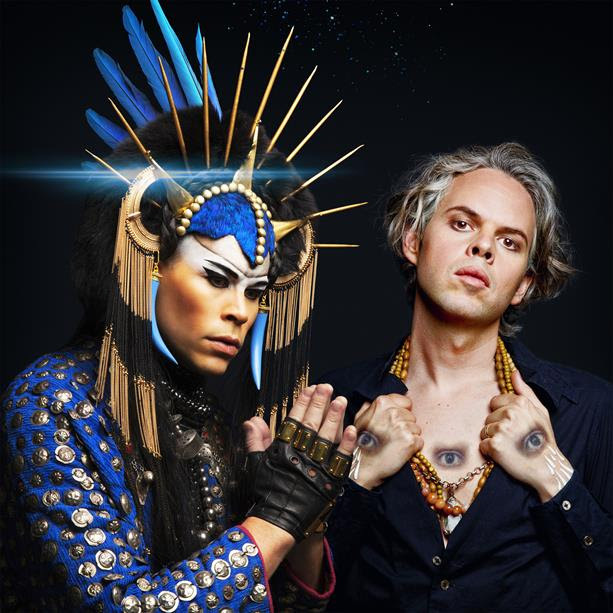 As one of Australia’s most successful musical exports, Empire Of The Sun has been making waves across the world with phenomenal live shows and anthemic hits for the past decade. The band has carved out it’s own niche with its dynamic live performances touring in more than 100 cities across the globe. Empire Of The Sun has amassed more than 1.75 billion total streams and has reached multi-platinum status with global singles ‘We Are The People’, ‘Alive’, ‘High & Low’ and ‘Walking On A Dream’ which is certified platinum in the US (1 million+ sales). The debut album, Walking On A Dream went on to sell close to 2 million copies worldwide and won 8 ARIA Awards (including Album of The Year, Single of the Year and Best Group plus 2 BRIT nominations (including Best International Album), with many more accolades following. The band followed their debut with the release of two more full-length albums – 2013’s Ice On The Dune and 2016’s Two Vines, selling a combined 3 million albums, accumulating more than 650 million streams and more than 300 million YouTube views over the course of their career. The last few years have been huge for the band with standout performances at the likes of Coachella, for their third time, Ultra Music Festival, Outside Lands and Governors Ball. The 2015 US West Coast tour culminated in a spectacular sold-out headline performance at the legendary Hollywood Bowl in front of more than 17,000 fans. TV performances have included Ellen, The Tonight Show with Jimmy Fallon and Later… With Jools Holland. To celebrate its decade anniversary of Walking On A Dream, Empire Of The Sun will announce several US and international tour dates for 2019 in the coming weeks. The limited edition ‘Walking On A Dream’vinyl OUT NOW– available only while supplies last!